Lance Armstrong has confessed. Do you think it was his 2013 resolution to finally cop to years of using illegal substances just because it’s a new year, and all? Oprah Winfrey’s two-part interview with Armstrong was fascinating. At times he was forthright, direct and truthful – especially at the start, when Oprah posed only yes/no questions. OW: Have you called Betsy Andreu? Did she take your call? Was she telling the truth about the Indiana hospital, overhearing you in 1996 [during your cancer treatment, admitting to doping]? Was Betsy lying? Betsy Andreu spoke on NPR today — she was disappointed in this answer and clearly wished Lance would have responded candidly and admitted that her story had been true. But in this case, I guess a simple yes or no did not come so easily. In short, he avoided most embarrassing details and as a result, Armstrong remains as enigmatic as ever. He admitted to using illegal substances, but evaded requests for details about the doping program and the doping culture. He claimed he didn’t recall stashing syringes in soda cans after he and fellow riders injected EPO, while fans congregated outside – a claim made by Tyler Hamilton in his book The Secret Race. Seriously? The most riveting exchange between Winfrey and Armstrong was on the subject of bullying, and accusations that Armstrong threatened teammates who didn’t want to use EPO. Hats off to Oprah who reacted with healthy skepticism as he bobbed, weaved and split hairs about whether the expectations he set for winning as team captain could have been interpreted as ultimatums by his riders. He claimed he never gave a directive or made a threat, but was this just a matter of semantics? He didn’t back down, but he wasn’t making a whole lot of sense either. But the problem is, he did fail a test during the 1999 Tour de France. Or at least, any reasonable person would say he failed it. He tested positive for corticosteroids, and needed a bogus, back-dated prescription for saddle sores to get a pass. When you’re caught in a lie, and you try to be sly… that’s semantics. If you watched segment two, though, you know the answer: He’s doing it to have his lifetime ban on competing in sanctioned sports lifted. I was blown away when he told Oprah, “I think I DESERVE IT.” Excuse me? How on earth do you figure? 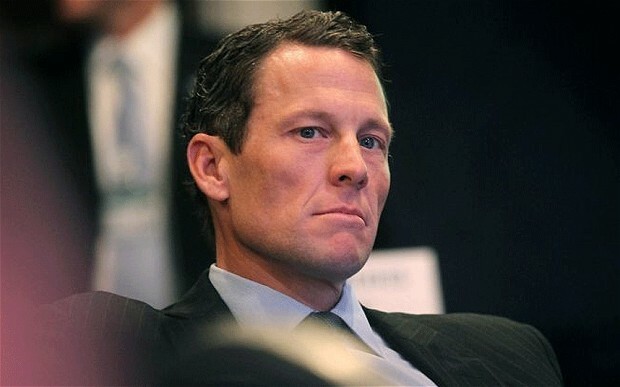 It’s true, Lance Armstrong took most of the responsibility for his own bad actions. He repeatedly said “I deserve this”, referring to the lost endorsements, and public disgrace. So how can he rationalize also deserving to be readmitted to sports, after just a hand-slap suspension? He thumbed his nose at the Union Cycliste Internationale (UCI) and the US Anti-Doping Agency, by “brazenly and defiantly” denying doping for 13 years, so he was the big fish they wanted to catch. Either Lance Armstrong still just doesn’t get it, or I don’t.